The Eaton High Density rack power distribution unit (PDU) builds off the best-in-class power distribution of Eaton’s ePDU G3 platform. 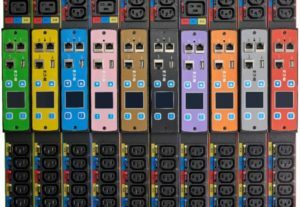 With all the features you have come to expect from G3 rack PDUs, the HD rack PDU offers the additional benefits of configurability, improved outlet counts and color chassis options. Click here for Eaton’s brochure on the new HD PDU. 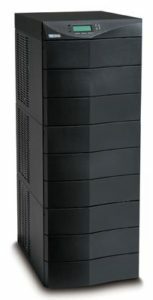 Eaton’s 9170 UPS has been a proven workhorse and backbone for backup power systems for many years. Although the 9170 is no longer being manufactured, companies using the 9170 will continue to operate and maintain these systems for years to come. Whether your customer needs a battery replacement, additional battery modules or a capacity upgrade, HM Cragg has stocked up on a large inventory of 9170 battery and power modules to assist with these needs. Please get in touch with us for a quote today so that you can help keep your customer’s systems maintained and operating at the highest levels. 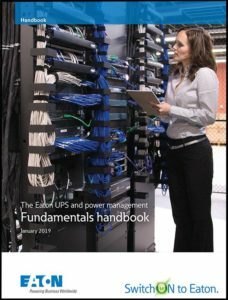 Eaton’s new & improved UPS and Power Management Fundamentals Handbook is your one-stop source for essential information. Whether you need power protection for small, medium or large data centers; health care facilities; or other environments in which ensuring uptime and safeguarding data are critical, the new handbook has useful information for you. Click here to download Eaton’s UPS and Power Management Fundamentals Handbook. Please note that some products referenced in this communication might not be available for sale in all territories. Please contact your HMC Sales Rep for more information and product questions.